On Saturday evening 21st October, in the Church of St James the Less, villagers were entranced by a wonderfully varied programme of music played on the newly restored organ by distinguished organist Ian Tracey. The concert was arranged to celebrate the completion of the restoration stage of the church organ project. The organ has now been restored to its original 1892 condition making it one of the very few working Binns’ organs of its age and excellence. However, the project is not only about restoring the organ. A scholarship scheme is planned to enable enthusiasts to learn how to play this magnificent instrument, together with a fund to pay for an organist for regular church services and to maintain the organ. Those wishing to contribute to this fund can do so by visiting www.sulgravepipeorgan.co.uk and clicking the Virgin Giving button. See next page for details of the programme and some pictures from the event. The church decorated for the event….. The organ looking at its best and ready for the performance. Ian Tracey is made welcome at the Church door. The programme. 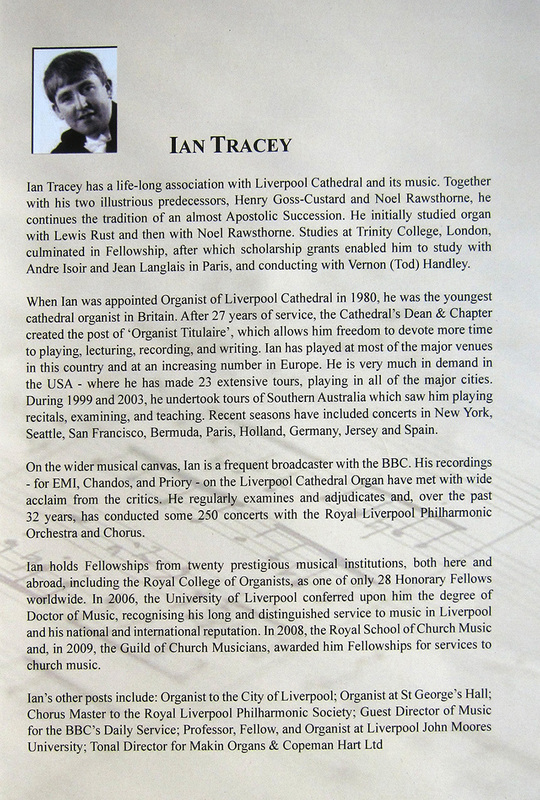 Not only did Ian Tracey play the pieces with the anticipated virtuosity, he also introduced each one in a thoroughly entertaining and informative manner, with many anecdotes about the compositions, the composers and his fellow organists. Someone drew my attention to the date on this memorial on the chancel wall – October 21st 1914 – Harold Wootton, killed at Ypres one hundred and three years previously to the very day. He was my uncle, the eldest of the seven sons of Joseph and Catherine Wootton and lived, all too briefly, in what is now known as Wootton House in Little Street. With Remembrance Sunday approaching, I thought it appropriate to include this picture. Click here for more details of Harold and the other villagers who lost their lives in two world wars and are named on the church war memorial. This entry was posted on Sunday, October 29th, 2017 at 9:44 am	and is filed under News. You can follow any responses to this entry through the RSS 2.0 feed. You can leave a response, or trackback from your own site.